Shooting bubbles has never been so fun before. Take your bubble shooting experience to the next level with Bubble Shootix. Here's a novel concept: shoot bubbles to group three or more of the same color together and pop them, while more bubbles appear at the top of the screen. If the bubbles take over the screen you lose. 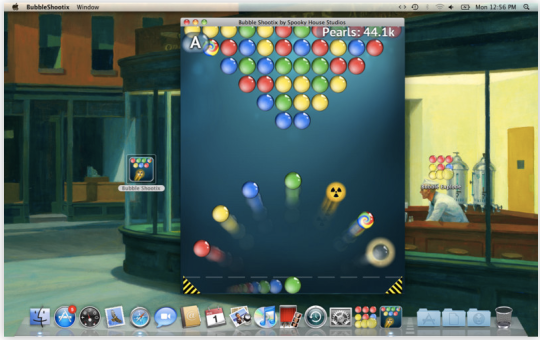 Yeah, we've seen it before in over a dozen different apps for Mac OS X and iOS, but Bubble Shootix is actually a well-done version of this genre. 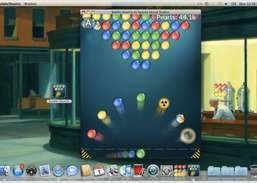 The free version of Bubble Shootix includes ads. To go ad-free you need to spend $0.99. To get additional in-game currency, you need to spend more. Help brave pengy to pop the bubbles and collect stars.